1. Open your Weebly Account. 2. Within the Editor go to Settings > SEO and paste the line of code for Google verification into the header box. 3. Be sure to Save and Publish your site. Once you have correctly added the verification code, we'll finish the process and get your ads launched immediately. 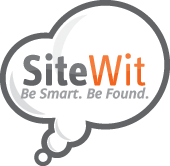 If we can be of any help with verifying your site, please contact support@sitewit.com, or call us at 877-474-8394.